Twenty Not So Boring Laps, Baby! I awoke to howling wind on Tuesday morning, and immediately remembered the tree that had blown over onto the trail right where we’d be running. 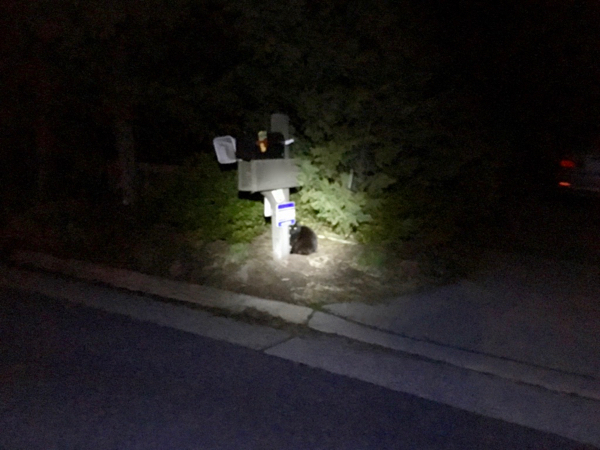 The wind was blowing at around 16 MPH right across the tree line that runs parallel to the trail so instead of driving to meet friends for hill repeats, I chose to stay within the safer confines of my little neighborhood circle where there are very few large trees in front yards. I value the top of my head and prefer it stay dent free. I had a pretty good run despite getting slightly warm on half of my run and then getting quite cool as I rounded the circle back into the wind (32° with a 21° windchill). Overall, I think I did pretty well on what I chose to wear – capris, long sleeved shirt, unlined nylon jacket, ear warmer/headband, gloves, and mittens. Trash was blowing around the neighborhood so I picked up a few newspapers and tossed them back onto driveways (hopefully the right ones), and carried this Wendy’s bag back to our garbage can. 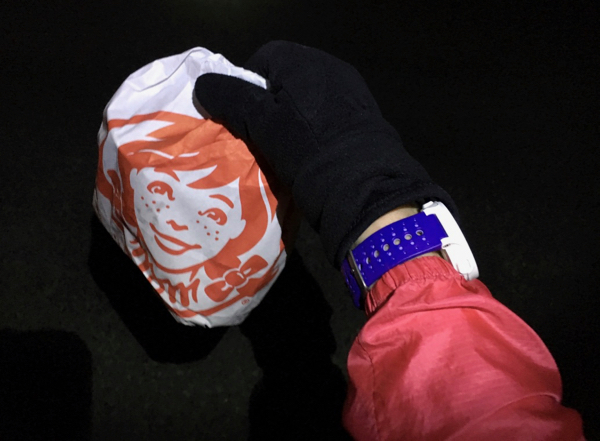 Luckily, I didn’t see any neighbors who might have thought I’d run through the Wendy’s drive-through at 5:30 AM! 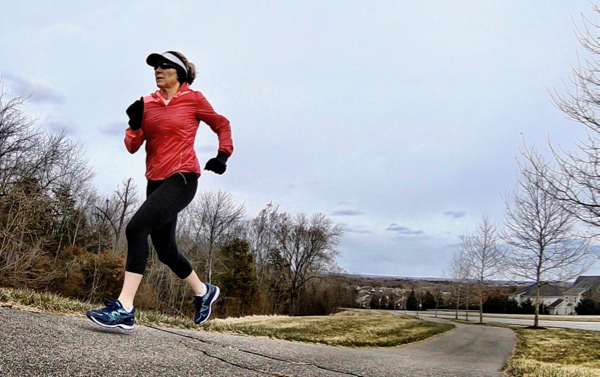 I planned to run 10 miles on Friday morning, so I chose to makeup my hill repeats on Wednesday afternoon instead of Thursday morning, giving myself extra rest before my long run. So much for avoiding the wind and the possibility of a tree blowing over on my head by skipping Tuesday morning’s run – the wind was gusting between 18 and 29 MPH. At times I felt like I must have looked like a cartoon character spinning my wheels without moving forward with the force of the wind in my face. Other times, it wasn’t too bad, especially with it at my back as I ran down the hill. I was pleasantly surprised to finish 6 repeats in the howling wind with a 10:45 average pace. That’s quite a bit slower than in the past, but considering I felt like the wind was keeping me from going nowhere fast at times, I’ll take it! Friday morning I opted to head back out to my circle at zero dark thirty to run ten miles (why waste valuable time driving to and from the trail to run alone). If my neighbors were up, they’d think I was nuts! 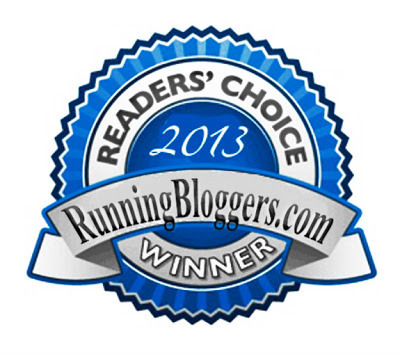 I’ve mentioned before that with a little creativity, I can run one mile in two laps, so that was twenty laps around my neighborhood – thank goodness for my Garmin (affiliate link) and not having to count laps. 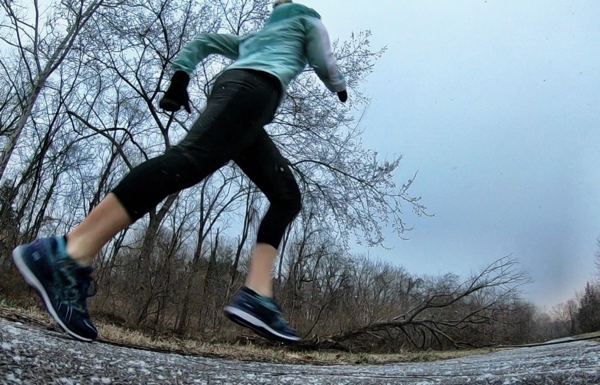 Over the course of my run, I noticed the temperature dropping and just as I finished up my run, Bill texted from the C&O Canal where he was about to start a long bike ride to say that he was in the middle of a blizzard. It had just started snowing at our house and by the time I grabbed my GoPro (affiliate link) and went back outside for a couple of pictures, the five-minute blizzard had hit at our home as well. The wind kicked up, the snow swirled, the path got white, but within ten minutes the sun came out for the rest of the day. 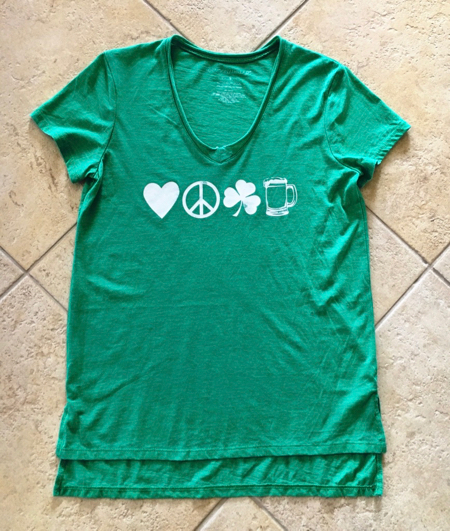 Back in February (when it was warm, LOL), I bought this cute tee at Target thinking it would be perfect for my Saturday morning run on St. Patrick’s Day. Not only did I not run on St. Paddy’s Day, but it would have been too cold for it yesterday morning. It’s sooo comfy, though, so I’ll just wear it around the house! Thursday – The End Of The Jumpie? Say It Ain’t So! 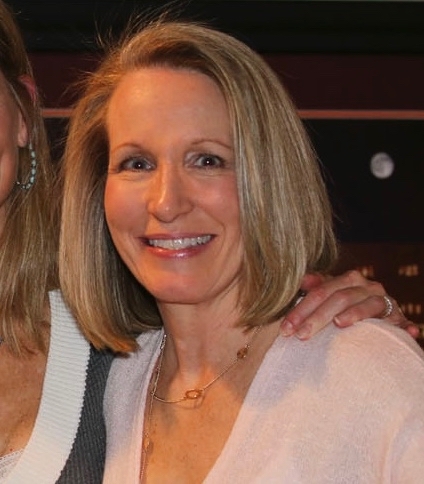 Looking ahead to this coming week, on Tuesday I’ll have tips for runners for staying safe while out on the trail; and I’m still working on my next Spotlight on Local Athletes post with a very interesting guest. How’s the weather where you live? Are you ready for spring or has spring already hit? Did you celebrate St. Paddy’s Day? If so how? Also, did you know that Patty is the Irish nickname for females and Paddy is the Irish nickname for males, so it’s St. Paddy’s Day, not St. Patty’s Day? I just learned that last year! The End Of The Jumpie? Say It Ain’t So! 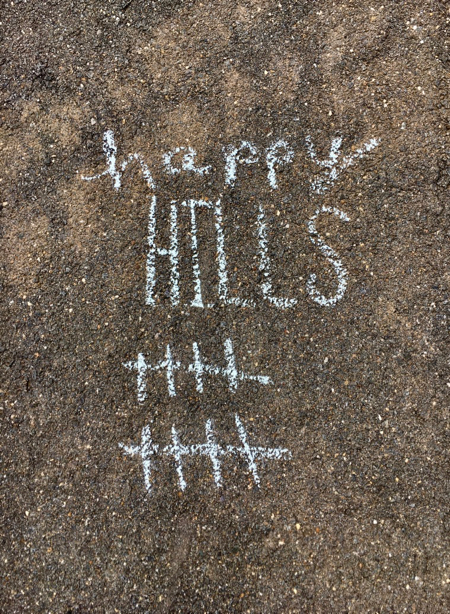 I love both tips (mulch and chalk) for counting repeats! Just last week, I lost count doing my down hillers. I had someone tell me they used pennies, switching from one pocket to another on each loop. Nice training week! Thanks for linking. Great job this week! I love the chalk idea for repeats. I’m always terrible about counting the reps. We got an unexpected dip in the temps this weekend when I was looking forward to 40’s. Spring has to come sooner or later, right?! This has been the longest March ever. I am so ready for spring! I hate looping. I don’t know if I’d survive 20 of them! And yes, it’s been crazy windy here, too — although thankfully this morning wasn’t too bad. I wonder why the cat didn’t move for so long? It never even occurred to me to write on the road for repeats — genius! I suppose in the pitch dark running repeat laps is not so noticeable since everything is dark anyway. For me, it sure beats the treadmill! I don’t know what is up with the wind, but it seems to be crazy windy everywhere! I also have a 1/2 mile lap I frequently run (around my block). I think the most I have done is four laps at a time, though (and those have been in the dark of night/early morning LOL). This seems like the windiest March ever, and I’m so over it. Blah! Hopefully spring will show up soon. Have a great week! Me, too, and you know what a snow lover I am! PS – love that St. Patty’s tee! The weather’s been pretty bad here, snow and minus degrees C. Brrr. I really like the idea of chalking how many repeats you do. I’m usually okay at remembering hill repeats but have to think a bit more when I’m on a track! Marking off the repeats does allow for daydreaming which makes the run go by faster, but it makes me not be as focused so I might not run as fast. Too bad you didn’t get to wear that shirt, Maybe next year you can wear it at a race and it will be warmer. I never knew if it was St. Patty’s or St. Paddy’s. I always though it was st Patty’s because it’s St. Patrick’s Day and there is no D in that word. Same here, but Patrick is the English version of the Gaelic name Pádraig, so that’s why we would think it’s St. Patty’s, but it should be St. Paddy’s. Interesting, huh? I am so ready for spring. LOL re: back in January when it was warm;so true. This weather would be too cold to run outside in fall but in spring it’s perfect. I did do a St. Paddy’s Day race this year. Lucky Charm in Harrisburg, PA. So much fun, and a perfect day for running. Today….not so much. I bailed on my planned trail run due to the snow. Come on spring! 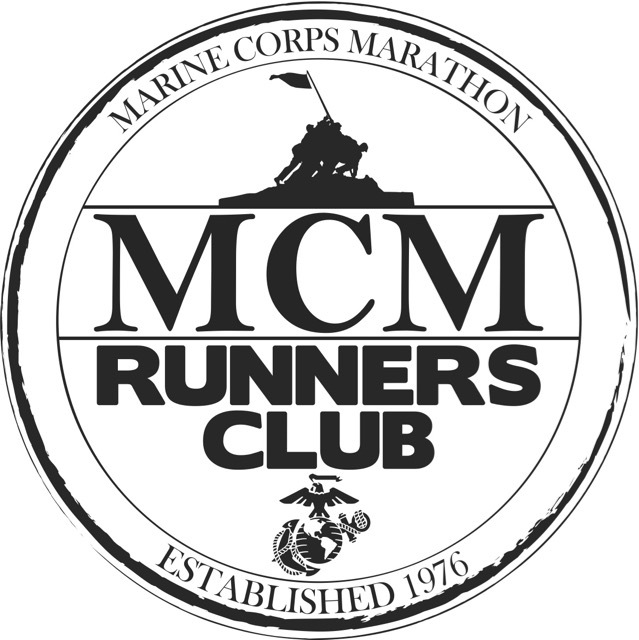 The more I think about it, the more fun a St. Paddy’s Day race sounds. Perhaps I’ll run one next year. Glad you had fun at your race!